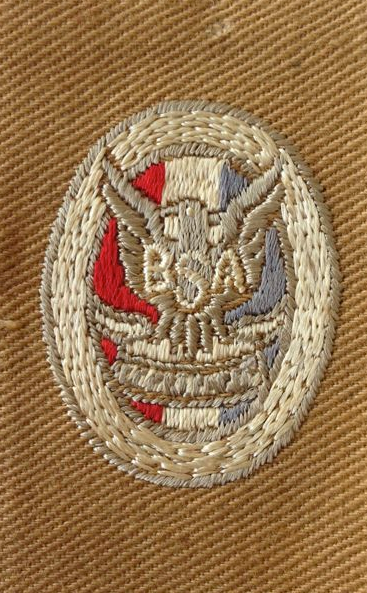 Starting in 1924 the BSA began issuing cloth patches for the Eagle rank. Prior to this time the Eagle medal was the dominant insignia item. There are currently 12 different types of Eagle patches identified, but there are really only two that are particularly valuable, and as you would expect they date to the earliest days of the Eagle patch. 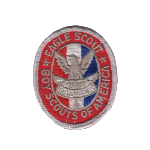 The first Eagle patches were given to Scouts attending the the 1924 World Jamboree and afterward they were widely adopted. The most valuable Eagle patches are cut cloth badges which means that they came on a roll and then were cut out of a larger roll of cloth. Typically the edges would be sewed under when they were placed on a uniform or sash. Patches that have never been laundered or sewn will be more valuable. Later patches with rolled edges are all quite common and generally don’t sell for more than $5-10, while early cut cloth badges can hit well over $100 for some rarer variations. In an attempt to make the Type designations easier for an amateur audience, I use a different naming convention for Eagle patches than that used by Paul Myers in his book Collecting Boy Scout Rank Badges, Second Edition, I’ve seen other folks using a similar scheme to mine and I thinks it’s easier to comprehend a Type 1 from a Type 2 this way. I suspect that if you’re informed enough to disagree with me on this, then you really aren’t the target for this site, if you have no idea what I’m talking about, then just ignore this part. 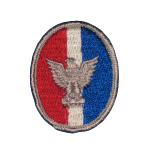 About: The Type 1 Eagle patch exists in many varieties depending on how in depth you want to go. In the very earliest Type 1 subtypes the Scroll has a Knot below it, later subtypes will not have the Knot. The Sea Scout Navy and White Eagle Type 1s are especially rare finds and will be more valuable. Condition is very important with rare items like these, unused and unwashed badges will be worth more than those that have been sewn onto uniforms and used heavily. However, if you have one already sewn to a sash or uniform, do not remove it as that will reduce the value even further. 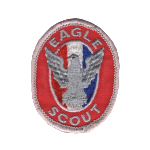 Identification: The easiest way to identify the Eagle Scout Type 1 patch is by knowing that the Type 1 is the only cut cloth patch without text in the border. 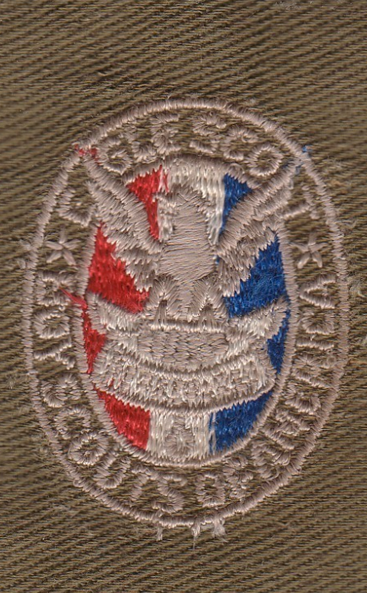 The patch consists of a grey Eagle with the letters “BSA” across its chest in white, on top of a “Be Prepared” Scroll. The Type 1 has a background of of red, white, and blue (from left to right) and a white border. Varieties: There are a few design subtypes of this badge, but it can also be found on a number of different colors of uniform cloth. The Eagle was part of the early advancement of the Sea Scouts and so it can be found on Navy Blue Felt and White Twill from those uniforms, as well as a Tan Twill and Olive Twill from Boy Scout Uniforms. 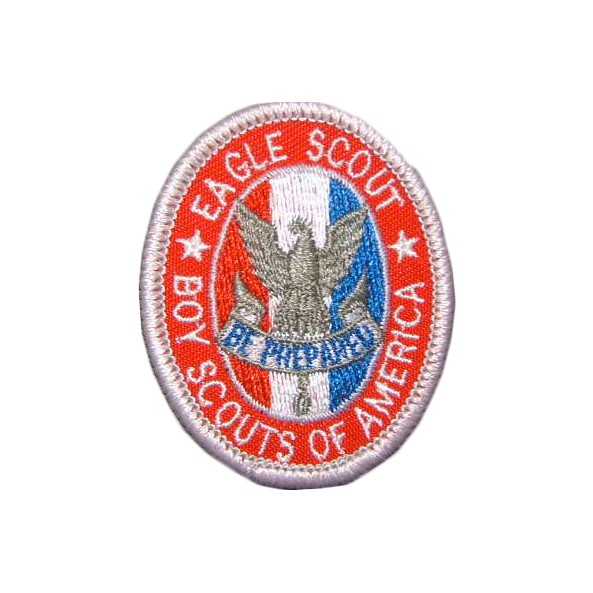 The quality control on these patches was pretty low and there are many inconsistencies in the embroidery of the patch that create a number of minor and esoteric varieties such as the color of the “Be Prepared” text (can be found in grey and white), and whether the Eagle has an eye or not. The main subtype designations are listed below. About: The Type 2 Eagle had one of the longer runs as a consistent design lasting for over 20 years. As with the Type 1, the White or Navy Sea Scout varieties are rarer and more valuable. 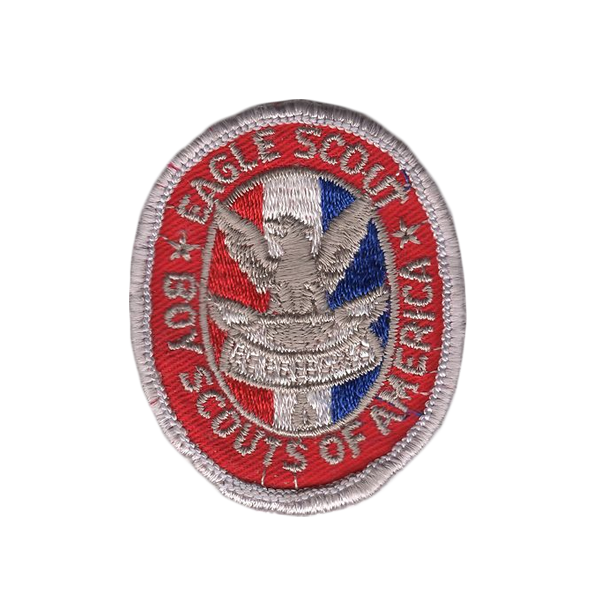 Identification: The most distinguishing feature of this badge is the border which reads “EAGLE SCOUT BOY SCOUTS OF AMERICA” (note that the Eagle’s wings actually clip the “A” and “U” in EAGLE SCOUT). This badge is easy to spot because it is the only cut cloth badge that had text in the border, also note that there is no background on the border, it is just the text on the cloth. The Eagle of this badge is much sharper in design from the Type 1 and is embroidered in silver, with a Be Prepared Scroll and Knot below. It has a red, white, & blue background. 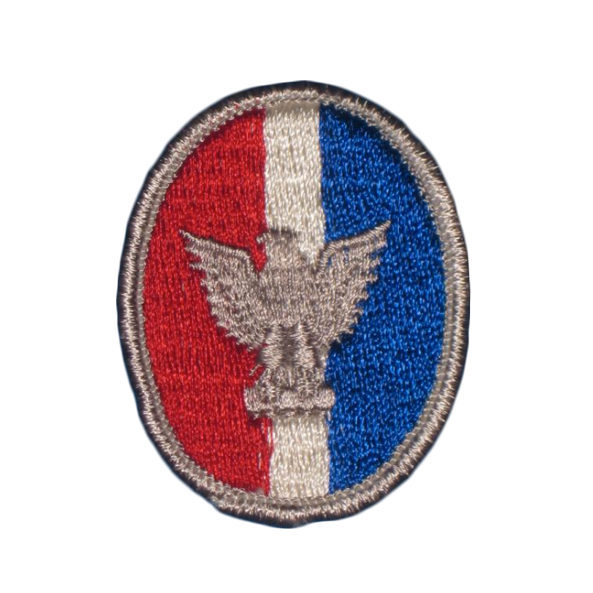 Varieties: The Type 2 badge can be found on Tan and Khaki Cloth for Boy Scout patches, and Navy Felt and White Cloth for Sea Scout patches, and it can be found with Silk or Cotton embroidery thread. There are no major design variations to watch for, the type of cloth and embroidery are the major distinguishing features. Notes: While I identify only 6 general types here, you need to understand that the predominant classifications used by collectors are much more in depth and break some of these types into multiple types. For example, I call any cut cloth badge with no words in the border a Type 1, in Paul Myer’s book he identifies the Type 1 as the version of this design where the scroll pokes into the border (my Type 1a & 1b), and Type 2 as the version where the scroll does not (my Type 1c). The design I identify as Type 3 is classified as either Type 4 or 5 by his scheme based on the details of the Eagle’s beak. Similarly, my Type 4 and 5 are broken into multiple Types by Paul’s designations. Just know that depending who you’re talking to you may need to be more specific than just saying a given Type. Honestly though a picture is worth a thousand words so if you need help just send a picture to the email address at the bottom of the page. 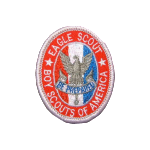 If you have an Type 1 or Type 2 Eagle Scout Patch, please Contact Us for more information.